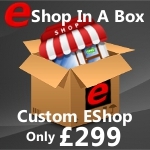 E Shop Hosts have just released three new Unlimited Web Hosting Plans. These amazing value for money unlimited hosting accounts are designed to cater for anyone requiring a hosting plan with unlimited disk space , data transfer, email accounts and database allowances. So in response to client requests, we have created the Single Site Unlimited Hosting Plan which is ideal for anyone who requires unlimited hosting for a single, large ecommerce site and requires unlimited disk space to handle their large amount of product images etc. The Starter Unlimited Hosting plan offers the same unlimited disk space, bandwidth, email accounts and database allowance and caters for hosting up to three domains. Finally our Pro Unlimited Hosting account is completely unlimited in terms of the number of domains hosted, unlimited disk space, bandwidth, email accounts and databases. All of our new Unlimited Hosting Plans come with the industry leader and easy to use cPanel with 50+ scripts and applicatioins available for ‘one click’ installation which is ideal for quick set up of your blogs, e-shops and minisites etc. With cPanel you can easily configure and manage all aspects of your hosting, email accounts DNS and databases etc as well as spam and virus protection and 24/7 Visitor Monitoring. Unlike most hosting packages that regulate the amount of domains and sites that you can host within a single hosting plan which doesn’t cater for every hosting clients needs, our Pro Unlimited Hosting plan is an ideal solution for web designers looking to host their portfolio, domain investors that require multiple parked pages or minisites for their domain portfolio or simply anyone who requires multiple domain hosting with genuine unlimited features. As with all E Shop Hosts web hosting packages, all the Unlimited Web Hosting Plan comes with our highly commended ‘hand holding’ support service which means that we will help install the shopping cart software of your choice and any modules that you may require and give you step-by-step advice so don’t worry if you’re new to hosting, E Shop Hosts are always at hand to help. With all of our Unlimited Hosting Plans you can create and manage Unlimited Email Accounts for your hosted domains, with a 2 GB allowance for each email address created that is Blackberry/iPhone/Mobile compatible with easy to configure Webmail/SMTP/POP3/IMAP configuration as well as our Advanced Spam/Virus Protection. All email configuration is available within your E Shop Hosts client area or hosting cPanel area. All E Shop Hosts unlimited hosting plans are flexible and as easy to use as possible, and if your hosting requirements fluctuate our Pro Unlimited Hosting Plan is easily scalable to either our Single Site or Starter Unlimited Hosting Plans at any time on a pro rata cost basis.